Furiously high levels of fruity flavour this hard-hitting 8 percenter. 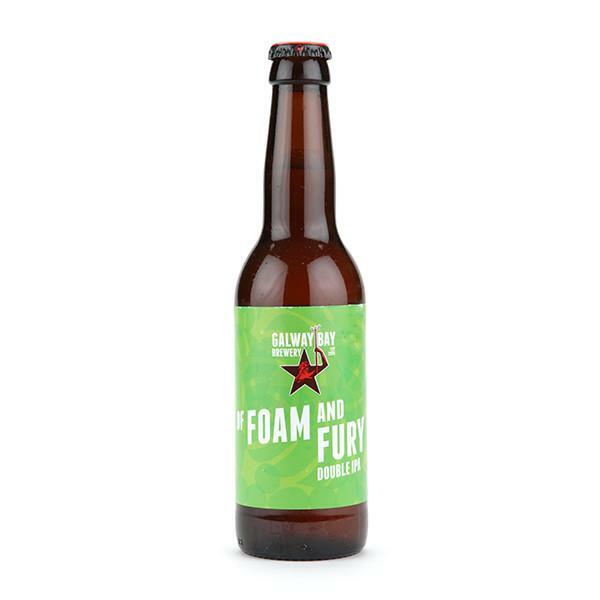 Beoir voted Of Foam and Fury Imperial IPA the Beer of the Year in 2014. Look: Hazy golden orange with a foamy white head and nice amount of lacing. Aroma: We were surprised at the amount of fruit going on in this boozy imperial IPA. There’s loads of bold tropical flavour like grapefruit, mango and orange. Taste: The galena, chinook, Pacific jade and simcoe hops provide more sweet and juicy tropical fruit, plus some resin, pine, spice and citrus. This is all supported by a hearty malt backdrop to give a complex yet balanced bittersweet character with a lasting bite and soft finish. Verdict: No fury here; just a happy beer drinker. It’s not hard to see why Beoir has been singing the praises of this brewery, just like the boys of the NYPD choir were singing ‘Galway Bay’.